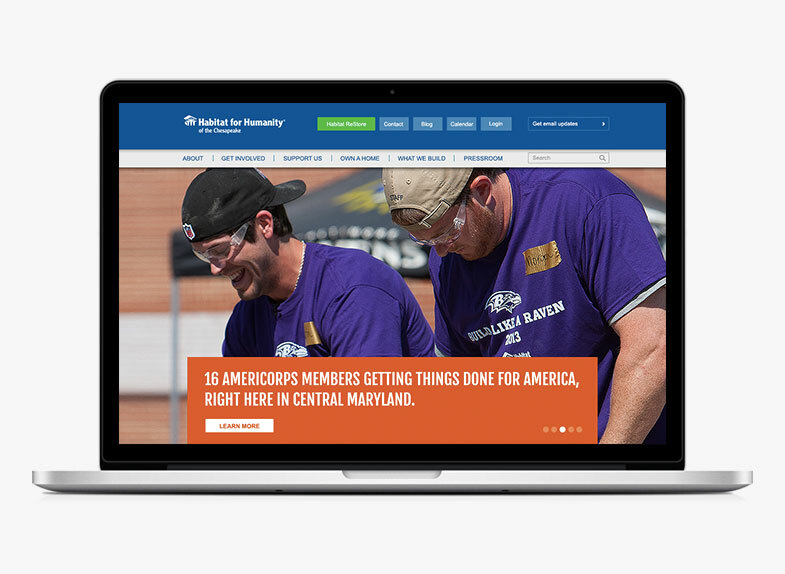 Substance151 is excited to announce the relaunch of the Habitat for Humanity Chesapeake and the ReStore websites. Months in the making, the new websites provide seamless branded user experience while creating an informative, easy-to-use, effective online communication tool that allows greater interactivity and more meaningful engagement between the organization and its key stakeholder groups. Substance151 delivered a compelling, engaging design that communicates our mission, engages our stakeholders and facilitates fundraising for our organization. From the first day on our project, they provided strategic insight that helped our marketing team successfully navigate through the complexities of the arduous web redesign process – always with the highest level of professionalism.